– Political office holders owe it a duty to impact on the lives of their people and must be held responsible when they fail to uphold their oath of office. 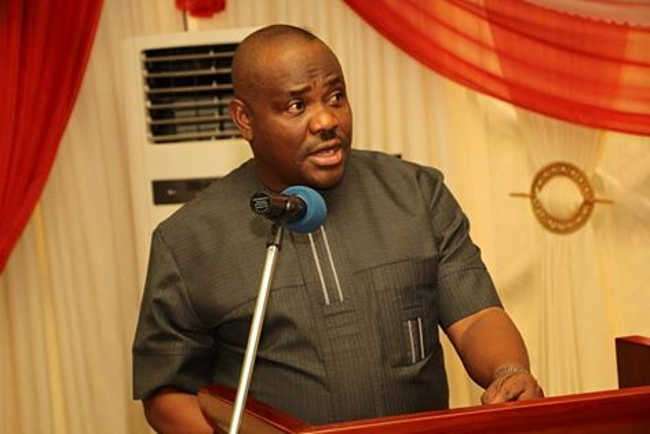 Rivers State Governor, Nyesom Wike has clearly stated that he will not trade his integrity for piecemeal political favours as he will not appeal to any politician in Abuja to get favoritism. The strong PDP member added that, “Power belongs to God.” As he said this while speaking at the flag-off of internal roads on Bolo in Ogu-Bolo Local Government Area of the state. “I have always said that if our people hold those they have elected accountable, we will not be hearing excuses. “The problem in the country today is that instead of them to fulfill promises we have made to the people during our campaigns, we will keep looking for who to blame.